Congratulations to Alette for being crowned Ms. Wheelchair California! 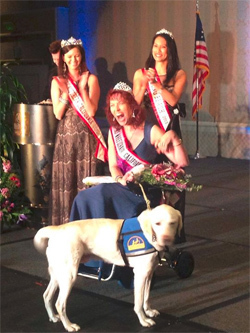 Alette's Service Dog, Reddy, was raised at Coffee Creek Correctional Facility and puppy started by Millie. Alette, you are the whole package!